Sean Moynihan, chief executive of the charity ALONE, says there needs to be a choice in housing to allow older people to age in place. Enjoy a nostalgic trip down memory lane with Northside People’s hugely popular ‘From the Archives’ page of old stories and photos. A fashion show in aid of the RESPECT charity was hosted by Northside students recently - and it featured a well-known TV star, no less. YOUR ONE STOP KITCHEN SHOP! Package Includes: New Kitchen, Appliances, Electrical, Plumbing, Tiling, Plastering, Painting. Rubbish Removed. Receive a Complimentary Prosecco or Cocktail Reception* when you book your date to celebrate at Hilton Dublin Airport! Dessie ELLIS T.D. Lynn BOYLAN M.E.P. HILTON DUBLIN AIRPORT hilton.com/dublinairport Malahide Road, Dublin T: 01 866 1885 E: events.dublinairport@hilton.com *Offer valid for new events only. Cannot be combined with any other offer. No cash value. Minimum of 80 guests required. Valid for events held by 30th November 2019.
there is money available to build the proposed Liffey Cycleway and that the citizens of Dublin will at last have a segregated cycleway which will take them safely across the city, from the Phoenix Park to the Irish Sea." The Green Party also welcomed the publication of the preferred cycle route along the Liffey quays. The party’s MEP candidate for Dublin, Cllr Ciarán Cuffe, who is chair of the council’s Transportation Strategic Policy Committee, said: "I'm delighted that we now have a new plan for the Liffey Cycle Route linking the Phoenix Park and Dublin Bay. The scheme isn't perfect, and has had to make compromises, but I'm hoping that this latest plan prepared by the National Transport Authority's consultants will get the green light from the Transportation Committee so that we can move towards construction. "People are crying out for segregated bike lanes that will make it safer for cyclists, young and old, to travel safely along the Liffey quays. Let's hope we can now move these plans forward to construction." to participate at www. jcsp.ie where you will also find information, ideas and inspiration. In partnership with Children’s Books Ireland, this year’s DEAR Challenge will also be the official EURead event for Ireland in 2019. Over 55,000 people registered to participate last year and the aim is to have even greater participation in 2019. Getting involved is very simple – register now and when the clock strikes noon on April 12, just drop whatever you are doing and READ! You can follow on Twitter @dear_Ireland and share your comments, photos and video clips using the hashtag #DEARIrl. Carbon Paint Centre Intelligent Solutions. Delivered. Visit Our Website www.carbonpaintcentre.ie Carbon Paint Centre, Unit 22 Finglas Business Centre, Dublin 11, Ireland, D11 YX5F. price points. ALONE values the importance of community-based supports to be in place on the ground to enable the older person to overcome challenges, as well as being able to access the benefits and resources that will enable them to remain living at home. ALONE estimates that, at any one time, 20 percent of older people require some level of support intervention. Now is the time to begin the process of building communities for people to live in throughout their life-cycle and to support older people to age in place, preparing for the demographic change and addressing gaps in housing options. needs to become an integral part of creating age-friendly communities. The cost of building smaller homes for older people is estimated between €10,000 and €20,000 cheaper than building three and four-bed family homes. This will also reduce the incidence of older people having to remain in acute hospital settings due to lack of housing options available or long delays in housing adaptations, and will reduce the numbers of older people moving to costly nursing home provision due to lack of alternative supports. It is estimated that the cost to the ‘Fair Deal’ scheme will increase by an additional €729m annually by 2031 as a result of demographic changes. The pressure on the private rented sector and HAP Scheme will also reduce. We believe that the delivery of these ambitious targets will depend on an innovative and collaborative approach between all stakeholders, including the Department of Housing Planning and Local Government, Department of Health, local authorities, the HSE and the Approved Housing Body sector. Get more from your smartphone. Join one of our free 3Assist events on the second Tuesday of every month to get up to speed with your smartphone. The next one takes place on Tuesday, 9th April. Do more with your mobile. Don’t miss your chance to ask the experts how to make the most of your mobile at our 3Assist event. Learn how to keep connected and share with your friends and family. Places are limited so book today. Visit 3Store Mary Street, Dublin now to book your spot. Paul Reid gets Motorcylist broke woman's top HSE job legs in Ballymun Aoife Nic Ardghail A motorcyclist lost control of his bike going over a speed bump and it skidded on its side into a pedestrian, breaking both her legs. Dublin Circuit Criminal Court heard last week that father-of-five Miguel Pintos (38) came off the bike and impacted with another woman, which fractured her ankle. Pintos, of Coultry Way, Ballymun, pleaded guilty to endangerment at Shangan Road, Ballymun, on May 6, 2018. He has 30 previous convictions, including minor road traffic matters, drug offences and one possession of explosives. confirmed that Pintos has no other charges pending against him and that his family, who are originally from the Basque country, were horrified at the incident. He also agreed that there were no alcohol or drugs involved in the case. Mr Rea handed in letters to Judge Karen O'Connor, including one from his full-time employment with PACE. Counsel submitted that Pintos had also taken steps to improve his literacy and did voluntary work in providing meals on wheels to the elderly. Judge O'Connor ordered a report from the Probation Service and adjourned the sentence till July next. Make sure you give your old vehicle a proper send off. If the time has come to dispose of your old car or small van, ELVES are here to help you say a proper goodbye. ELVES can help you find a permitted scrapyard and our website will show you the simple steps to take, to ensure that you are no longer responsible for your vehicle. Visit www.elves.ie to find your nearest permitted scrapyard. We’ve been proudly supporting independent living for over 30 years. Delivering affordable, delicious and nutritious meals and desserts to our customers all over Ireland. Simply call 01 4735595 and order your FREE Brochure and choose from over 300 tasty recipes including meals for varying appetite sizes, specialised diets and of course... Desserts! Place your order with one of our friendly advisers who are happy to guide you and advise on best meal options to suit your needs. Our local team will DELIVER your order FREE, ready for you to enjoy at your leisure. Burglar ‘didn’t care’ about getting caught “Food “Food “Foodis is isthe the thebest best best medicine” medicine” medicine” my my mymother mother motherused used used threw the at the Garda to to tobag say! say! say! meaning he was on bail when he committed the burglaries of the student accommodation. Judge Melanie Greally ordered a probation report and that Whelan undergo urine analysis. She remanded him in custody and adjourned the matter for sentencing on May 30 next. “Food is the best medicine” my mother used to say! I need tasty meals with the right nutrition at my time of life. Wiltshire Farm Foods deliver them straight to my freezer!! Call now for your FREE brochure! own homes.” Grants of up to €30,000 are available to assist people with a disability in carrying out necessary works to make a house more suitable for their needs; up to €8,000 to assist older people living in poor housing conditions to have necessary repairs or improvements carried out; and up to €6,000 for mobility aids to address mobility problems for a member of the household. The grants are 80 percent funded from the Exchequer by the Department of Housing, Planning and Local Government, with 20 percent funding from the relevant local authority. The grants also create employment opportunities for builders and local businesses. Tommy Daly, Seamus Darby and Shane Byrne at the launch of Vision Walk Marbella 2019.
aspect with an opening party on the first day of the festival. Live music is on offer every evening and restaurants in the historic city centre of Marbella offer daily deals for participants. To participate, contact Tim in the Fighting Blindness fundraising department on 01-6789004 or by email at tim.ocarroll@ fightingblindness.ie. it functioning. She is 14-months-old and has already battled her way through five keyhole surgeries as well as openheart surgery at Crumlin Hospital. Eloise loves swimming and her mum, Michaela, who brought her along to the event launch, hopes that her classes at Water Babies will be the start of a lifelong love of water for her. Carol McNally of Water Babies Ireland said the Splashathon is a “fun, splashy way” to make a real and lasting difference to children across Ireland. “We’re very proud to have raised over €120,000 for children’s charities since we launched in Ireland 10 years ago,” she added. “Our Water Babies and their amazing mums and dads will be doing whatever it takes during this year’s Water Babies Splashathon to help get sick children back out to play.” Sarah Joyce, Head of Corporate Partners for CMRF Crumlin, said there was a heavy dependency on public donations and corporate partnerships to tackle childhood illness. ‘Céad Míle Splashes’, over 5,000 babies and toddlers will take part in the national sponsored swim. The LARGEST Fireplace Showroom in the North-East with over 250 models on display! The TheLARGEST LARGESTFireplace FireplaceShowroom Showroomininthe theNorth-East North-Eastwith withover over250 250models modelson ondisplay! display! RESPECT fashion show a big success TRANSITION Year students from Mount Sackville Secondary School and Castleknock College put on a fantastic fashion show in aid of the RESPECT charity. The show was hosted by ‘Dancing with the Stars’ and ‘Fair City’ star, Clelia Murphy – herself a past pupil of Mount Sackville. The students delivered an entertaining night with fashions from local boutiques including formal, casual, sports, spring and summer wear. There was also a special section displaying entries into the national Junk Kouture competition. Models were drawn from staff, students and RESPECT and it was truly an all-inclusive event. Mount Sackville has long been associated with RESPECT and has solidified its connection over the past two years. An audience member looks on as a model passes during the show. Host Clelia Murphy, of Fair City’ and ‘Dancing with the Stars’, pictured with Sr Zoe Killeen (Daughters of Charity) and Eileen Cuddihy Higgins (principal, Mount Sackville) at the charity fashion show. process, we asked Brian and Sophie about their relationship and their plans for the future together. to be special. On Sophie’s birthday, at the top of the Orlando Eye, I popped the question, to a speechless response. How long are you together? Three years, one month. What’s the most romantic thing you’ve ever done for each other? Brian: We were less than a week together when I lost my job of six years. Sophie supported me, both financially and mentally. Sophie: The night of our first date, I was driving home in a newly bought car and I crashed it. It was 3am and Brian came to the rescue. The following Christmas, he surprised me with a new car. able to celebrate with our big families. It would mean more than you could ever imagine! products cheaper than most can, and I manage to do it,” he declares. LOCATED in the heart “I love working here, it’s of Meath Street, the great and I have great fun, Liberty Market radiates the folks are fantastic,” he colour and boasts great says, as he hands over the bargains, while also offering a strong sense of two cups to a fellow seller. He thinks that if more community. buyers visited the market, The market is now it would be worth it for home to 40 stalls, which the sheer friendliness of are open on Thursdays, the vendors. Fridays and Saturdays. “The stallholders say “Everybody comes to hello to everybody, a me, I’m like the local hairdresser in here. They ‘good morning’ doesn’t cost an awful lot,” he tell me all their stuff and points out.” I tell no-one else,” says The stallholders give the Patrick Clare, who sells electronics at the market. bustling market a sense of life, with most of them He also sells cups of tea having worked here for from behind his stall. years. “I’m also the tea guy; “It’s a family type of everybody loves their atmosphere,” says Gerry tea, it’s only a euro for a cup of tea,” he sings as he O’Neill, who runs a ladies’ fashions and children’s pours milk and tea and clothing stall. He has been spoonfuls of sugar into at the market for over paper cups. He proceeds to scribble 20 years and operates initials on top of the lid in the stall with his wife, black marker and explains Barbara. “Some customers have that he comes in early every morning and makes been coming in here here for donkey’s years, the sellers their cups of but we’re hoping to get tea to kickstart the day. “I know everybody’s tea the younger generation shopping here too.” and how they like it,” he At the very centre of adds. the market, which is Like all the other designed in a T-shape, is vendors, he prides the lighting stall. It is a himself on his prices. “I try and source things large, bright and radiant stall, with chandeliers and cheaper than most folks and sell them cheaper. My light fixtures attached to goal is to sell good quality the ceiling. Tina Mooney runs the stall with her husband. “We start at between 10am and 10.30am in the morning and you’re here all day,” Tina reveals. “If you’re busy, then you may be here later. Saturday would be the busiest day, but it’s a different crowd on different days. “It’s lovely and I do enjoy it,” she adds. The Liberty Market opened in 1973, making it 46 years of age this year. That’s the same length of time that Larry Mooney has been selling wool and knitwear at his stool. “I won’t pull the wool over your eyes,” he jokes. “The same people come in nearly every week. We’ve a great community here and we look after one another,” he explains. Without owner Michael Fitzgerald, the market would not be what it is today. Having set it up almost 50 years ago as a young businessman, the manager and owner remembers how the market “took off like a storm” back in the 1970s. “Dealers were run off their feet when we first set it up,” he remembers. He explained that low prices in the market are due to the low cost of rent that the sellers have to pay and this is their only overhead. “They hire stalls from me but are all selfemployed and their only expense is rent, which is very low,” he explains. The main goal for the market now is to invite the younger generation of shoppers in, while ecommerce continues to post a strong threat. “Online shopping is a very impersonal experience and there’s no client to customer interaction,” says Mr Fitzgerald. “Our stallholders are all very honest, hard working people.” Throughout all the years, the single part of Liberty Market proprietor Michael Fitzgerald. ALL PHOTOS: DARREN KINSELLA the market that has stood out the most - and which remains the same today are its stallholders. One trader, Harry Armstrong, was 96-yearsold when he passed away and he worked every day until he died. Michael Fitzgerald remembers him fondly. “He was a real character and he was there from the day we opened,” he recalled. “His sons have expanded into their own stalls now but his biggest pride was that he was the cheapest and the best. “He was like a part of the furniture - we even have a photo of Harry hanging at his old stall.” Patrick Clare is one of the traders in the Liberty Market. Liberty Market trader Larry Mooney. the previous 12 months. Passenger numbers are up nine percent in the first two months of this year, as more than four million passengers have used the airport in January and February. Buying? Selling ? www.dublinpeoplebingo.com Renting? know their options — and how to navigate the crowds — can enjoy the best experience. About The Author MARK Joyce is a native of Connemara and has a varied background in the arts. He studied in Dun Laoghaire College of Art and Design and worked for a number of years in the film industry in Ireland. Mark has also worked with some leading Irish craft companies as a designer, as well as producing posters for numerous festivals. His photographic book ‘A Portrait of Connemara’ was published in 2015. He owns Joyce’s Craft Shop and Art Gallery in Recess in Co Galway, which showcases some of his artwork. interviews, of life as an elite Garda confronting organised criminals. Jane Ryan grew up in Kildare and went to boarding school in Wicklow. She studied with the Institute of Chartered Accountants in Ireland and has worked in the Technology and Communications sector for over 20 years. Jane's short stories have appeared online and in print, most recently in the anthology 'Strange Love Affairs'. 47 Seconds is her first novel. She was born in the notorious Mother and Baby home, Sean Ross Abbey. Lucky for her and unlike so many others, the story didn’t end there. She was adopted by Peter and Pat Ryan, given a name and a loving home. Jane was shortlisted for the Hennessy Literary Awards and her latest short story appeared in an anthology entitled ‘Strange Love Affairs’. Jane lives in Dublin with her husband and two sons. compete with a dark room and a malevolent scratching at the door!” Mythical Irish Beasts is available now (Currach Press, €22.99). supported their musical heroes on the road, including Tom Petty & the Heartbreakers. Regarding the new album, Fraites says: “This collection of songs worked out in a beautiful way, and I feel with this album we’ve really hit our stride.” This year, the band tours across the US and Europe and will play the 3 Arena on Friday, November 29.
an instant, club-ready hit. The video for ‘Hungry Child’ is directed by Saman Kesh and features Martin Starr and Milana Vayntrub. Having headlined BBC’s 6Music Festival, Hot Chip have been debuting new songs at intimate shows in the UK. Their dates continue in Europe and North America before they reassert themselves as the ultimate festival band. The award winning 'Biofresh 3 Steps for Healthy Glowing Skin' contains Probiotic Cleansing Milk, Rose Water Toner and Probiotic Collagen Expert Day Cream. Probiotics are fast becoming the latest trend in the beauty industry as recent studies show their health promoting effects include powerful skin health benefits. Topical application of probiotics also helps strengthen natural skin defences, lower the stress level in the skin and re-balance the skins PH level. Probiotics are also effective in targeting wrinkles and skin-aging aggressors.The Biofresh 3 Steps for Healthy Glowing skin is available in selected stores nationwide and online at www. biofreshskincare.ie. The Master Series Palette One is made up of 12 beautiful neutral shades perfect for creating a variety of eye looks. The palette has the perfect balance of 11 velvety matte shades ranging from a gorgeous vanilla base colour to a dark brown shade. It also contains one shimmery champagne highlighter shade. The Master Palette also contains the bestselling vegan friendly E40/41 Double Ended Tapered Crease Blender/Smudger. Available on www.blankcanvascosmetics.com. Penneys have teamed up with Disney to bring you a brand-new range of classic Dumbo products. Landing in stores this month, this range is compiled of 62 products perfect for little ones and adults alike. With everything from the cutest kidswear, adorable accessories and kitsch kitchenwear, this collection will make delight all Disney fans. With prices ranging from €3.50 to €22 head down to Penneys to get your hands on this must-have collection. John Kennedy, 41 SKREEN ROAD, DUBLIN 7, D07 K4A6. Permission is sought to WIDEN EXISTING VEHICULAR ACCESS FROM 2500MM TO 2950MM. The planning application may be inspected, or purchased at a fee not exceeding the reasonable cost of making a copy, at the offices of the planning authority during its public open hours and that a submission or observation in relation to the application may be made to the authority in writing on payment of the prescribed fee within the period of 5 weeks beginning on the date of receipt by the authority of the application. I FRED RAYNER INTEND TO APPLY FOR PLANNING PERMISSION For development at this site 21 SHANOWEN DRIVE, DUBLIN 9, D09 XT61. Development will consist of demolishing existing sheds to the rear of the existing site and replacing with a proposed new ground floor only detached building to the rear of the existing site/garden to be used as a game’s room/gym & storage. 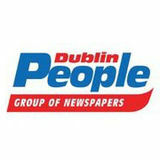 The planning application may be inspected or purchased at a fee not exceeding the reasonable cost of making a copy, at the offices of Dublin City Council, Planning Department, Block 4, Ground Floor, Civic Offices, Wood Quay, Dublin 8 during its public opening hours (9.00a.m.- 4.30p.m.). A submission or observation in relation to the application may be made in writing to the planning authority on payment of the prescribed fee (€20.00) within the period of 5 weeks beginning on the date of receipt by the authority of the application, and such submissions or observations will be considered by the planning authority in making a decision on the application. The planning authority may grant permission subject to or without conditions or may refuse to grant permission. PLANNING DUBLIN Dublin City Council I, Mark Healy, wish to make application for planning permission for 1st floor Bedroom extension to rear and vehicular entrance to off street car parking to front garden and all associated site works at 16 Wadelai Green, Glasnevin, Dublin 11. The planning application may be inspected or purchased at a fee not exceeding the reasonable cost of making a copy between the hours of 9.00am - 4.30pm at the offices of Dublin City Council, Planning Department, Block 4, Ground Floor, Civic Offices, Wood Quay, Dublin 8. A submission or observation in relation to the application may be made in writing to Dublin City Council on payment of a fee of €20.00 within the period of five weeks beginning on the date of receipt by the authority of the application. to compete with the opposition. There are plenty of storage areas in the cabin. Just don’t forget to engage that electric handbrake, otherwise you might, like me, find yourself stuck. The new 2018 Honda CR-V VTEC TURBO Petrol. WLTP (Worldwide Harmonised Light Vehicles Test Procedure) combined fuel consumption figures for New Citroën C5 Aircross SUV: (l/100km): 7.2 to 5.2. WLTP combined CO2 (g/km): 170 to 152. *RRP (Recommended Retail Price) excludes €750 recommended delivery charge and optional extras such as metallic paint. Model shown for illustrative purposes. ‡5 year unlimited Citroën car warranty is made up of 3 years’ manufacturer’s warranty and 2 years’ extended warranty. Information correct at time of print. Poster in a black frame on a white wall with stickers in a scandinavian style child’s bedroom interior with wooden furniture and yellow decorations. in your child’s bedroom into something new. Irish students are invited to create microgravity experiment IRISH second level students are in with a chance to develop a science experiment for testing on a microgravity flight this October to help address the issue of sustaining life beyond this planet. Project PoSSUM (Polar Suborbital Science in the Upper Mesosphere) will fly a number of microgravity flights in Ottawa, Canada, at the National Research Council and thanks to a unique partnership with the Irish Composites Centre (IComp) at University of Limerick, Irish students will be part of those flights. IComp is inviting 15-17 year-old students to take part in an international effort to further our understanding of STEM (Science, Technology, Engineering and Maths) and space exploration. The students are required to team up, with either a female lead or a minimum of two females per team, and develop ideas for experiments focused on environmental issues. This initiative runs parallel to the PoSSUM 13 International Microgravity Flight Challenge, an effort to celebrate the Mercury 13 and the achievements of women in space science. The October flight itself is planned for 18 parabolas, a curved flight path that provides researchers with an opportunity to test an experiment for 15-20 seconds in microgravity. This unique opportunity is made even more special due to the fact that there are humans in the loop, meaning experiments will be handled and controlled by researchers on board. experiment and ideas to a panel of experts, where the winner will be selected. The winning team will work with experts at IComp and UL to prepare the experiment for the October flight. OVER 80 schools in Dublin are currently completing their projects for the Junior Entrepreneur Programme. They’re part of more than 600 schools throughout the island of Ireland that have signed up for the programme co-founded by Tweak. com founder and entrepreneur, CEO Jerry Kennelly. The free nationwide programme gives children between the ages of 11 and 12 a real insight into the business world by enabling them to convert their commercial ideas into real business opportunities, complete with management teams, sales and especially the thrill of running a successful and profitable business. The free 14-week programme is led by Jerry Kennelly and supported by successful entrepreneurs across Ireland, including Sam McAuley, founder, McAuley Chemists, Frank Salmon (CMS Periperals), Peter Cosgrove (ATA) and John Purdy (Ergo), among others. participating in JEP have not only learned about business on the programme, but they have a far greater understanding of marketing, finance, sales and leadership and their presentation skills, teamwork and confidence increases significantly as a result of the Junior Entrepreneur Programme,” Mr Kennelly continued. “National school is the ideal time to introduce children to the world of entrepreneurship – young children are creative and curious by nature, and these are just two of the skills required to be successful in business. “Through JEP, we want to show kids just how much fun creating, working and succeeding in business can be.” JEP is a great opportunity for all schoolchildren. There is no cost to the schools and the benefits are enormous. It has been proven that pupils who participate in entrepreneurship programmes demonstrate increased initiative and self-confidence. D Coakley LTD.. 118 St. Lawrences Road, Clontarf, Dublin 3.
est 25 years. • Specializing in all ering Repairs and replacements. • Slating, Tiling, Felting, Latting. SINGLE ROOM SINGLE ROOM €100 €120 €80 €90 €120 €90 €130 €100 DOUBLE ROOM €120 €130 €95 €100 epair & replace all types of flat roofs. DOUBLE ROOM flashing. • Chimneys repaired and&rebuilt. • All Attic€200 insulation carried €180 out. HALL, STAIRS LANDING €200 €170 €220 HALL, STAIRS & LANDING €120 €180 €60 BATHROOM of Guttering €70 €60 €50 Suppliers & Installers BATHROOM €70 €60 , Sofits and Downpipes • Maintenance free products No Rotting, No Painting, No Repairing. For All your General Garden Work For All your General Garden Work Overgrown Gardens, Garden Clearence, Fencing All Types, All Materials & Plants Supplied, Patio’s. • Free Estimates, • Friendly Service, • No payment until job is Complete, • Fully Insured. Steamed Defog up double Windows glazing? We repair it or replace it! APPLIANCE REPAIR Washing Machines Cookers Dishwashers Hobs Refrigeration Dryers _____________ Repairs - Spares Installations Sales Fast - Efficient - Reliable Landlords & Property Managers Estate Agents Welcome _____________ 087 615 4234 fix@servizmagic.com www.facebook.com/ Servizmagic _____________ "Say what we mean, Do what we say." Taps/Toilets/Electric Showers & Hot Water Cylinders. Senior Card Discount. CLS RECRUITMENT GROUP ARE RECRUITING FOR THE FOLLOWING TRADES Quantity Surveyor, Foreman, Project Manager, Qualified Electricians, Plumbers, Carpenters, General & Skilled Operatives, Groundworkers, Blocklayers, Plasterers, Painters, Scaffolders, Steel Fixers, Cleaners, SLG & TM Operators, All Tradesmen/Plant & MEWP Operators required for Dublin and Leinster Region. Pracownicy Budowlani z safe passem potrzebni. Are you moving home? Your new low cost method of moving at a fraction of the price larger removal companies charge. Boiler & Gas Repairs from €60 by former Bord Gais Service Engineer. Interior Repairs of aluminium and upvc frames, locks, hinges, handles, patio door wheels, tracks, glass draught proofing. Expert FLOOR SANDING & RESTORATION services in Dublin and surrounding areas. As seen on RTE’s "ROOM TO IMPROVE"
North Dublin publications Ltd Reserves the right to decline, omit, suspend or alter any advertisement In any of its publications or to terminate any contract and will not be held responsible for any loss caused thereby. No liability is accepted for any loss or damage caused by an error in printing of any advertisement. No liability is accepted for any loss or damage alleged to arise through delay in forwarding copy. MUSICTOWN An eclectic two-week musical celebration, this year Musictown applauds collaboration and diversity in all its forms from April 12-21. Artists from across the musical spectrum will gather at various venues across Dublin to collaborate and create unforgettable musical moments. Highlights include Damien Dempsey performing at Vicar Street on Friday, April 12. Dempsey will perform tracks from his standout new album ‘Union’ as well as classic tracks from his much loved catalogue. See musictown.ie for all events. Great Ireland Run The 19th annual running of the 10k Great Ireland Run will take place on Sunday, April 14, in the Phoenix Park. Set in the iconic surroundings of Europe’s largest urban park, runners can enjoy a truly inspiring celebration of running, as they make their way through the spectacular natural surroundings of a park filled with rich history and natural beauty. See greatrun.org/ great-ireland-run for details. Neil Simon’s comedy, ‘Plaza Suite’, will be staged by St Patrick’s Dramatic Society, Dalkey IDEAL HOME SHOW The Permanent tsb Ideal Home Show will have at The Studio, dlr LexIcon, Dun Laoghaire everything under one roof for those in search nightly at 8pm from Tuesday, April 9 to of new ideas, inspiration, information and the Saturday April 13. products and services they need to help them Plaza Suite is a collection of three unrelated one-act plays, each set in the same New York achieve their Ideal Home. hotel suite. Hilariously funny and achingly Running from April 12-14 learn about the latest in interior design, décor and furnishings poignant, its central theme is middle age crisis and its effect on marriage. and get expert advice for planning building In the opening play, Karen is hoping for projects, extensions, renovations and new a romantic celebration of her wedding builds. anniversary with her husband, Sam. However, There will also be a wide variety of home appliances, home technology and automation, Sam is distracted by work problems and his secretary. security systems, energy efficiency and The second play introduces us to successful lifestyle products. See www.idealhome.ie for movie producer, Jesse Kiplinger who is on a details. brief stopover in New York and makes contact with his high-school sweetheart, Muriel Tate. Both, for their separate reasons, wish to SPRING SHOW AND PLANT SALE defibrillate their past romance. The annual Howth and Sutton Horticultural Finally, the third couple, Norma and Roy, are Society Spring Show and Plant Sale will take dressed and ready to celebrate the wedding of place on Saturday, April 13 from 2.30pm to their daughter. The groom and all the guests 4.30pm at St Nessan’s Community School, are waiting downstairs, but the bride has Baldoyle. locked herself in the bathroom.... Flowers, fruit, vegetables, cookery, Tickets (€18) for Plaza Suite, which is directed photography, arts & crafts and a junior by Seymour Cresswell, are available online at section will feature. There will be a plant www.eventbrite.ie (search for Plaza Suite), or sale, bookstall, homemade cakes, raffle, and by phone on 01-2807185. refreshments for all to enjoy. Admission to the show is €2. Entry for HSHS members, visiting exhibitors and children is free. There will be wheelchair access to all BINGO IN RAHENY parts of the show. For further information see Fancy a good night out and a chance to return www.hshs.ie/events/ home with a few euro? It’s eyes down for bingo, which takes place at the Raheny GAA Clubhouse, 2 All Saints’ Road every Thursday, from 8.15pm to 10.15pm. Contact bingo@rahenygaa.ie or phone 01-8313530 from 7.30pm to 10pm for more details. SPLIT ENDS Bewley’s Café Theatre presents ‘Split Ends’ by Lauren Larkin and developed and directed by Aisling Byrne which is a one-woman tour de force exploring the struggles and strength of Dublin women and the things you may only tell your hairdresser! There’s nothing a new hair-do won’t fix, right? Amy has worked in the salon since she was 16. She loves it. She loves her fella Darren too; they bought their house last year and have it almost how they want it. Her clients are the business; everyday she has chats with generations of Dublin women about their struggles and their strengths. Amy’s worked hard for what she has and whatever she sets her sights on, she gets…Until now…Split Ends is a one-woman show rich with Dublin humour and heart; it charts the tragedies and the triumphs, the little woes and small wins of four women and girls from different walks of life; as divulged from the hairdresser’s swivel chair. It plays till April 13. Crossword Answers April 10th MUSICAL IN RUSH Rush Musical Society will stage ‘Urinetown the Musical’ at the Millbank Theatre, Rush, until Saturday, April 13 at 8pm nightly (no performance on April 8). Set in a not too distant future, this hilarious musical deals with the impact of wholesale water shortages on the masses, corrupt politicians, power hungry utility companies and the inevitable love struggle between the classes. With every scene the satirical plot twists and turns offering comic and clever observations on life, love and society. Online bookings are open with patrons now able to choose their seats for each show with great ease. Visit www.millbanktheatre.com. All other enquires to the Millbank Theatre box office at 01-8437475. CRYPTIC SOLUTIONS Across: 3 Breakdown; 8 Took; 9 Batteries; 10 Litter; 11 Chief; 14 Leave; 15 Rash; 16 Turns; 18 Fuss; 20 Clear; 21 Earls; 24 Always; 25 Recondite; 26 Luce; 27 Loathsome. Down: 1 Still-life; 2 Lost cause; 4 Rear; 5 Aitch; 6 Darker; 7 Weep; 9 Beset; 11 Corks; 12 Face value; 13 Pharisees; 17 Scale; 19 Sat out; 22 Lidos; 23 Veto; 24 Atom. QUICK SOLUTIONS Across: 3 Cowardice; 8 Rout; 9 Cultivate; 10 Animus; 11 Proud; 14 Chill; 15 Tile; 16 Youth; 18 Slap; 20 Arced; 21 Loose; 24 Leaven; 25 Malicious; 26 Arms; 27 Promotion. Down: 1 Broadcast; 2 Municipal; 4 Opus; 5 Alter; 6 Devout; 7 Cute; 9 Curly; 11 Prune; 12 Discovery; 13 Readiness; 17 Hades; 19 Podium; 22 Stint; 23 Fair; 24 Ludo. Author Roddy Doyle (pictured right) with the cast of his critically acclaimed television series, ‘Family’, in 1994. Folk band Moonshine pictured at the St Lawrence Hotel, Howth, in the late 1980s. The band played a residency at the hotel every Sunday afternoon.